THE Government has agreed to relax visa requirements for some citizens of China arriving in the country, in particular government officials and tourists travelling in a group, an official says. They will be allowed to obtain a visa on arrival. They include citizens arriving on Air Niugini “on diplomatic, service, and passport for public affairs”, according to Chief Migration Officer Solomon Kantha. Kantha said in a letter yesterday addressed to Air Niugini acting chief executive Tahawar Durrani the rule it included “Chinese citizens travelling on ordinary passports under organised tour groups sanctioned by the Tourism Promotion Authority”. “It does not include individual Chinese tourists as yet,” Kantha said. 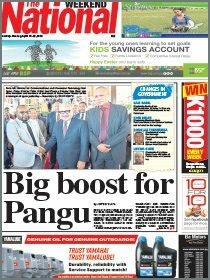 He said PNG expected “these arrangements to be reciprocated. Kantha said the visa policy change had also been relayed to the International Air Transport Association (IATA) traveller information manual automatic (Timatic) – to update traveller information for Papua New Guinea. “Internally, the Immigration and Citizenship Authority (ICA) has already made adjustments to its border management system which allows visa on arrival for Chinese citizens with these specific entry conditions,” he said. 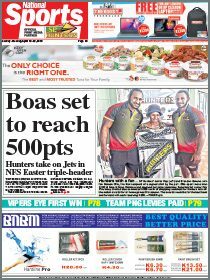 Tourism Promotion Authority chief executive Jerry Agus welcomed the decision, saying it would open up opportunities for PNG to be competitive in the Chinese tourism market. He said China had the fastest-growing outbound tourism travelling group, fuelled by its increasingly rich middle class which now had more disposal incomes. He said processing and issuing of tourist visas have been a major impediment to general tourism growth in PNG over the years. He said the decision was a positive step, especially when Air Niugini was planning direct flights to Shanghai.